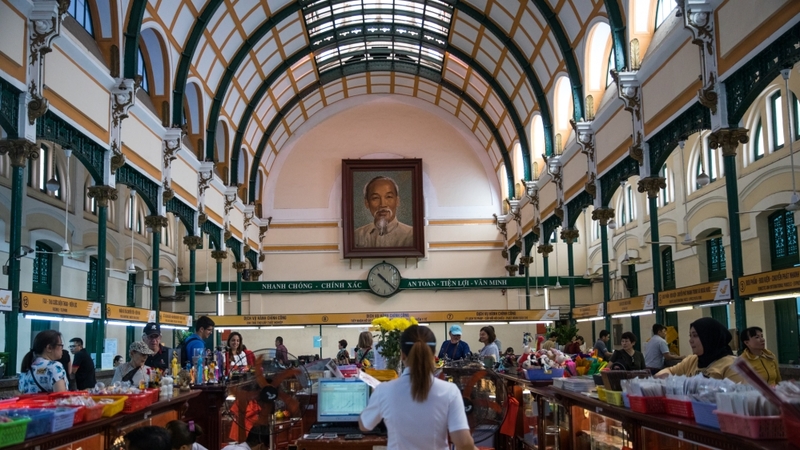 Ho Chi Minh City, Vietnam – As Ho Chi Minh City’s iconic French colonial architecture fades away and shiny skyscrapers punctuate the new skyline in the Southeast Asia megacity of 13 million people, there is one man who might be the last vestige of Vietnam’s colonial past. 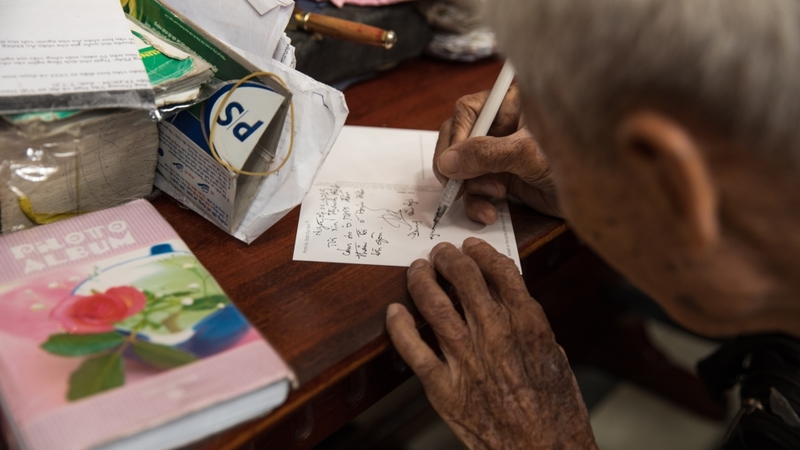 Duong Van Ngo is the only remaining public writer and still pens letters from the grand 19th century Saigon Central Post Office in Ho Chi Minh City, built when Vietnam was still a part of French Indochina. 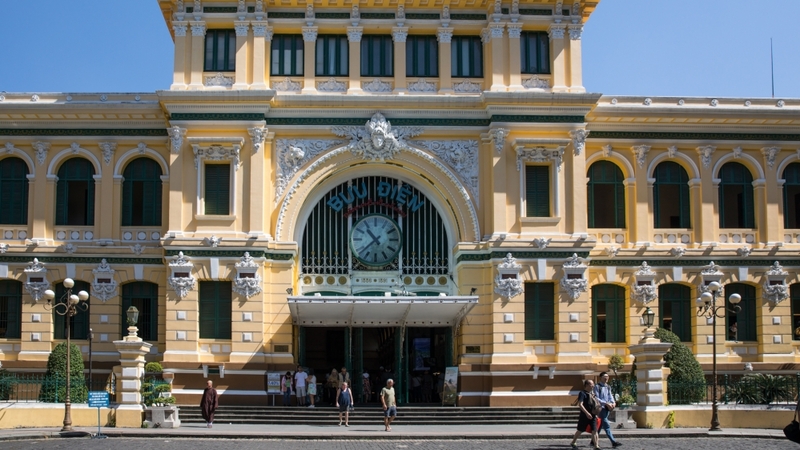 Saigon was the capital of South Vietnam before the war and the named changed to Ho Chi Minh City after North Vietnam overtook the city in 1975. Many Vietnamese, especially in the south, and foreigners still refer to the city as Saigon. 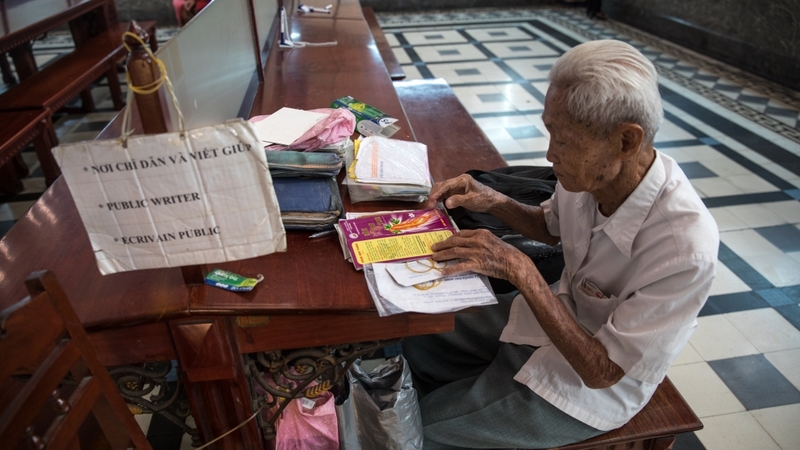 “I began to work for the post office when I was only 16, in 1946,” the 89-year-old told Al Jazeera, speaking at Saigon Central Post Office. Every morning, he tapes a piece of paper with the words “Public Writer” in French, Vietnamese and English on a panel near his wooden table, completing his makeshift office. At 8am every morning, he unpacks his black leather bag, placing a magnifying glass and a weathered copies of English-Vietnamese dictionaries on his table. She didn’t speak any French and relied on Ngo to communicate with her now husband. She still keeps the letters written at her home in France.